This article is about the Canadian film director. For the Filipino footballer, see Dennis Villanueva. Denis Villeneuve OC (French: [dəni vilnœv]; born October 3, 1967) is a French Canadian film director and writer. He is a four-time recipient of the Canadian Screen Award (formerly Genie Award) for Best Direction, for Maelström in 2001, Polytechnique in 2009, Incendies in 2011 and Enemy in 2014. The first three of these films also won the Academy of Canadian Cinema and Television Award for Best Motion Picture, while the latter was awarded the prize for best Canadian film of the year by the Toronto Film Critics Association. Internationally, he is known for directing several critically acclaimed films, such as the thriller films Prisoners (2013) and Sicario (2015), as well as the science fiction films Arrival (2016) and Blade Runner 2049 (2017). For his work on Arrival, he received an Academy Award nomination for Best Director. Villeneuve was born on October 3, 1967 in Bécancour, Quebec, the son of Nicole Demers and Jean Villeneuve. He was educated at the Séminaire Saint-Joseph de Trois-Rivières and later at the Cégep de Trois-Rivières. He studied cinema at the Université du Québec à Montréal. 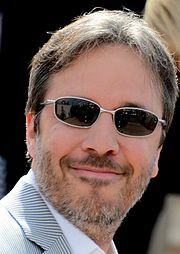 Villeneuve began his career making short films and won Radio-Canada's youth film competition, La Course Europe-Asie, in 1991. August 32nd on Earth (1998), Villeneuve's feature film directorial debut, premiered in the Un Certain Regard section at the 1998 Cannes Film Festival. Alexis Martin won the Prix Jutra for Best Actor. The film was selected as the Canadian entry for the Best Foreign Language Film at the 71st Academy Awards, but was not nominated. His second film, Maelström (2000), attracted further attention and screened at festivals worldwide, ultimately winning eight Jutra Awards and the award for Best Canadian Film from the Toronto International Film Festival. He followed that up with the controversial, but critically acclaimed black and white film Polytechnique (2009) about the shootings that occurred at the Montreal university. The film premiered at the Cannes Film Festival and received numerous honours, including nine Genie Awards, becoming Villeneuve's first film to win the Genie (now known as a Canadian Screen Award) for Best Motion Picture. Villeneuve's fourth film Incendies (2010) garnered critical acclaim when it premiered at the Venice and Toronto International Film Festivals in 2010. Incendies was subsequently chosen to represent Canada at the 83rd Academy Awards in the category of Best Foreign Language Film and was eventually nominated for the award, though it did not win. The film went on to win eight awards at the 31st Genie Awards, including Best Motion Picture, Best Direction, Best Actress (Lubna Azabal), Best Adapted Screenplay, Cinematography, Editing, Overall Sound, and Sound Editing. Incendies was chosen by The New York Times as one of the top 10 best films of that year. In January 2011, he was selected by Variety as one of the top ten filmmakers to watch. Also in 2011, Villeneuve won the National Arts Centre Award. Villeneuve followed Incendies with the crime thriller film Prisoners, starring Hugh Jackman and Jake Gyllenhaal. The film screened at festivals across the globe, won several awards, and was nominated for the Academy Award for Best Cinematography in 2014. Following Incendies and Prisoners, Villeneuve won Best Director for his sixth film, the psychological thriller Enemy (2014), at the 2nd Canadian Screen Awards. The film was awarded the $100,000 cash prize for best Canadian film of the year by the Toronto Film Critics Association in 2015. Later that year, Villeneuve directed the crime thriller film Sicario, scripted by Taylor Sheridan, and starring Emily Blunt, Benicio del Toro, Daniel Kaluuya, and Josh Brolin. The film competed for the Palme d'Or at the 2015 Cannes Film Festival, though it did not win. It screened at the Toronto International Film Festival in 2015 and went on to gross nearly $80 million worldwide. Villeneuve subsequently directed his eighth film, Arrival (2016), based on the short story Story of Your Life by author Ted Chiang, from an adapted script by Eric Heisserer, with Amy Adams and Jeremy Renner starring. Principal photography began on June 7, 2015 in Montreal, and the film was released in 2016. Arrival grossed $203 million worldwide and received critical acclaim, specifically for Adams's performance, Villeneuve's direction, and the film's exploration of communicating with extraterrestrial intelligence. Arrival appeared on numerous critics' best films of the year lists, and was selected by the American Film Institute as one of ten films of the year. It received eight nominations at the 89th Academy Awards, including Best Picture, Best Director, and Best Adapted Screenplay, ultimately winning one award for Best Sound Editing. It was also awarded the Ray Bradbury Award for Outstanding Dramatic Presentation and the Hugo Award for Best Dramatic Presentation in 2017. In February 2015, it was announced that Villeneuve would direct Blade Runner 2049, the sequel to Ridley Scott's Blade Runner (1982). Scott served as the film's executive producer on behalf of Warner Bros. It was released on October 6, 2017 to overwhelming critical acclaim despite middling box office returns. Villeneuve is set to direct the adaptation of Jo Nesbø's crime novel The Son, as well as Dune, a new adaptation of the 1965 novel for Legendary Pictures with Villeneuve, Eric Roth, and Jon Spaihts writing the screenplay. Villeneuve is married to Tanya Lapointe, a reporter, and he has three children from a previous relationship. His younger brother, Martin Villeneuve, is also a filmmaker. Critical, public and commercial reception to Villeneuve's directorial features. ^ "Villeneuve’s Incendies wins eight Genies, including best picture". The Globe and Mail, March 10, 2011. ^ Lynch, John (September 28, 2017). "The first reviews of 'Blade Runner 2049' are calling it a 'sci-fi masterpiece'". Business Insider. Retrieved September 29, 2017. ^ "Impeccably cool 'Blade Runner 2049' is a ravishing visual feast: EW review". September 29, 2017. Retrieved September 29, 2017. ^ "'Arrival' Director Denis Villeneuve on Oscar Noms, Amy Adams' Snub". EW.com. Retrieved February 14, 2018. ^ ICI.Radio-Canada.ca, Zone Arts -. "Les parents de Denis Villeneuve débordent de fierté". Radio-Canada.ca. Retrieved October 5, 2017. ^ "Festival de Cannes: August 32nd on Earth". Festival-Cannes.com. Archived from the original on January 22, 2013. Retrieved October 4, 2009. ^ Vlessing, Etan (September 22, 2010). "Canada picks 'Incendies' to vie for Oscar". hollywoodreporter. Retrieved September 29, 2010. ^ "Nominees for the 83rd Academy Awards". oscars.org. Retrieved January 25, 2011. ^ "Genie Awards: It's "Incendies" and the Red Carpet – Blog – The Film Experience". thefilmexperience.net. Retrieved November 30, 2015. ^ Holden, Stephen (December 14, 2011). "2011 Films: 'Melancholia,' 'Tree of Life,' 'Moneyball'". The New York Times. ISSN 0362-4331. Retrieved November 30, 2015. ^ "Variety taps Canadians among directors to watch". CBC News. January 3, 2011. ^ Villeneuve, Denis. "Denis Villeneuve, 2011 National Arts Centre Award". ggpaa.ca. Governor General's Performing Arts Awards. Retrieved November 15, 2016. ^ "11-time Oscar nominee Roger Deakins talks 'Prisoners' and the upcoming 'Unbroken'". HitFix. Retrieved November 30, 2015. ^ "Villeneuve's Enemy wins $100,000 Toronto critics' prize for best Canadian film of 2014". The Globe and Mail. Retrieved November 30, 2015. ^ "Denis Villeneuve in Talks To Direct Mexican Crime Drama Sicario for Black Flag". Deadline Hollywood. December 6, 2013. Retrieved June 2, 2014. ^ "Josh Brolin to Star Opposite Emily Blunt in Denis Villeneuve's 'Sicario'". variety.com. May 30, 2014. Retrieved June 2, 2014. ^ "2015 Official Selection". Cannes. Archived from the original on April 18, 2015. Retrieved April 16, 2015. ^ "Sicario (2015) – Box Office Mojo". www.boxofficemojo.com. Retrieved November 30, 2015. ^ "Cannes: Paramount Confirms 'Story Of Your Life' Acquisition; $20 Million Is Fest Record Deal". Deadline. May 14, 2014. ^ "Jeremy Renner Joins Amy Adams in Sci-Fi 'Story of Your Life'". The Hollywood Reporter. March 6, 2015. ^ "Amy Adams, Jennifer Garner spotted in Montreal as Hollywood filming heats up". Montreal Gazette. Retrieved November 30, 2015. ^ ""Film Critic Top 10 Lists - Best Movies of 2016 - Metacritic". Metacritic. CBS Interactive. Retrieved July 31, 2017. ^ "Nebula Awards 2017". Science Fiction Awards Database. Locus. Archived from the original on May 23, 2017. Retrieved May 24, 2017. ^ "2017 Hugo Awards". World Science Fiction Society. Archived from the original on August 11, 2017. Retrieved August 12, 2017. ^ "'Blade Runner' Sequel Has Found Its Director!". variety.com. February 26, 2015. Retrieved February 26, 2015. ^ "Denis Villeneuve in Talks to Direct 'Blade Runner' Sequel". variety.com. February 26, 2015. Retrieved February 26, 2015. ^ "'Blade Runner' sequel concept art: See a first look". EW.com. July 15, 2016. Retrieved July 18, 2017. ^ Vincent, Alice (October 9, 2017). "Blade Runner 2049 has flopped at the box office – here are six reasons why". The Telegraph. ISSN 0307-1235. Retrieved October 10, 2017. ^ McNary, Dave (May 26, 2016). "Jake Gyllenhaal, Denis Villeneuve to Reunite for Crime Drama 'The Son'". Variety. Retrieved October 7, 2016. ^ Kit, Borys (January 9, 2019). "Stellan Skarsgard to Play Villain in Legendary's 'Dune'". The Hollywood Reporter. Retrieved January 9, 2019. ^ Buckley, Cara (November 10, 2016). "Denis Villeneuve of 'Arrival' Leans In to Strong Heroines". The New York Times. ISSN 0362-4331. Retrieved December 12, 2016. ^ "REW-FFWD" (Online film). NFB.ca. National Film Board of Canada. Retrieved April 19, 2011. ^ "Cosmos: Film collectif". Films du Québec. ^ "Denis Villeneuve". Rotten Tomatoes. Retrieved January 2, 2018. ^ "Denis Villeneuve". Metacritic. Retrieved January 2, 2018. ^ "Critics Choice". Broadcast Film Critics Association. Retrieved January 2, 2018. ^ "CinemaScore". cinemascore.com. Retrieved January 2, 2018. ^ "Denis Villeneuve". Boxofficemojo.com. Amazon.com. Retrieved January 2, 2018. ^ "Denis Villeneuve". The Numbers. Retrieved January 2, 2018. 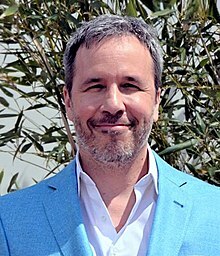 Wikimedia Commons has media related to Denis Villeneuve.